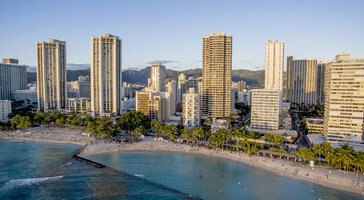 On the Hawaiian isle of Oahu, you can catch the waves in Waikiki – the birthplace of surfing – or on the famous North Shore. 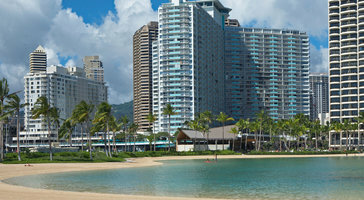 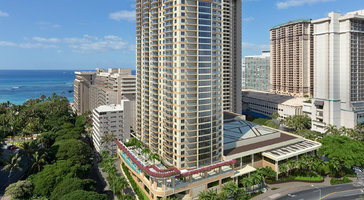 Oahu also contains a panoply of dining, shopping, entertainment, and adventure options. 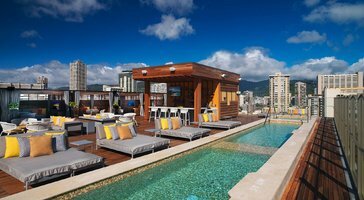 Visitors who are planning their next vacation will no doubt carefully look through their options for Oahu vacation rentals online, and they probably have a fairly clear vision of their perfect accommodation. 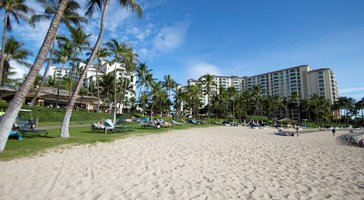 This is why holidaymakers should in search of Oahu hotels, resorts, and condo rentals should book with Vacatia. 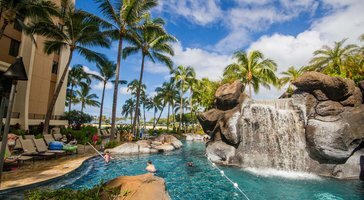 You can find almost every kind of vacation rental you can imagine, and you will know what to expect before you take off. 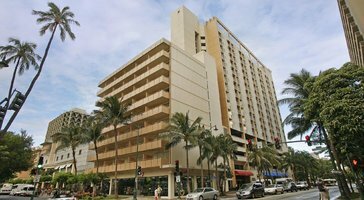 Oahu Hotels – A New Kind of "Residence"
Customers return to Vacatia again and again because they love our signature kind of accommodation. 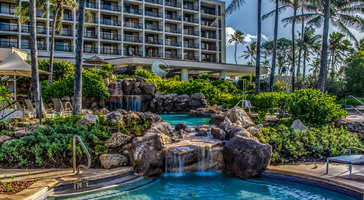 Of course you can find Oahu resorts and condo rentals all over the internet, but we know that when you go on vacation, you want elements of both kinds of lodging. 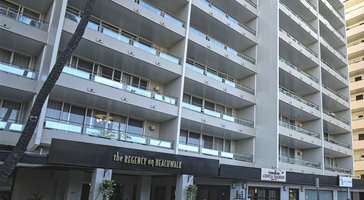 This is why we have developed resort residences – accommodation that combines the comforts of home with the high-end services of a hotel. 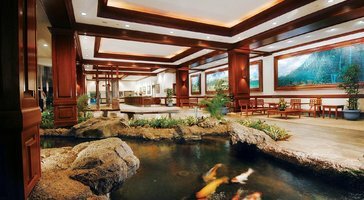 You will have your own kitchen, living room, dining room, and washer/dryer unit, which means that you can relax, cook, and otherwise live life at your own pace. 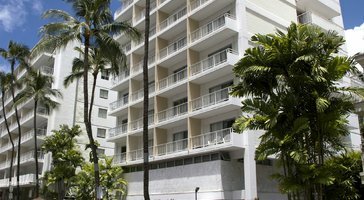 On top of this, professional staff will handle the cleaning and bedclothes, so you never have to worry about daily chores. 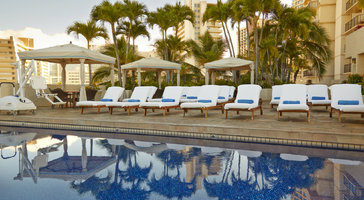 You can also take advantage of pools, hotel restaurants, and planned activities. 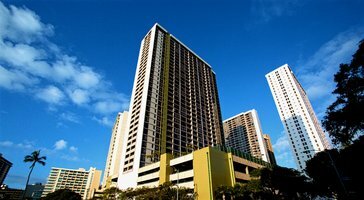 It can be difficult to find Oahu condo rentals or resorts that offer all of these things unless you use our online services. 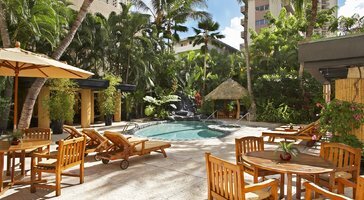 Vacatia provides a number of resort residence options for customers who book on our website, so what are you waiting for? 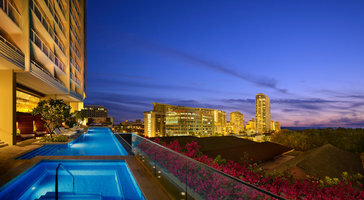 Take advantage of our hotel services and home comforts. 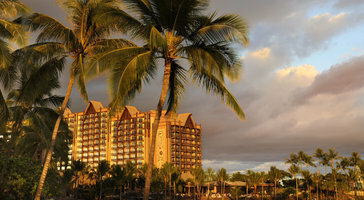 From sunrise to sunset, you will have lots of time to explore Oahu. 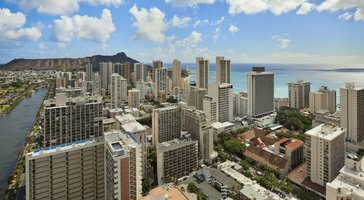 You can immerse yourself in the history of Hawaii at Iolani Palace, experience stunning urban art in Chinatown, browse the hottest local and designer fashions, and check out the latest farm to table culinary offerings. 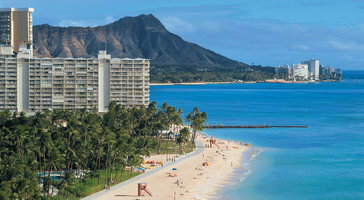 The crystal clear water of Kailua Beach meets the sweeping metropolis of Honolulu, and Pearl Harbor's timeless memorials meet Iolani Palace's historic architecture. 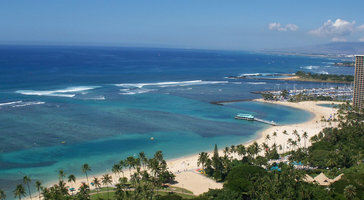 Waikiki provides more big-city thrills, while the Haleiwa offers a delightful, small-town, North Shore experience. 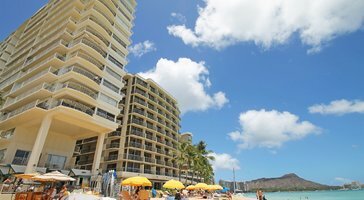 Whether you're exploring Oahu's diverse shopping, hiking on the beautiful Diamond Head (Leahi), or just taking it easy on the soft, sparkling sands of a beautiful beach, you will find a diversity of things to see and do on Oahu. 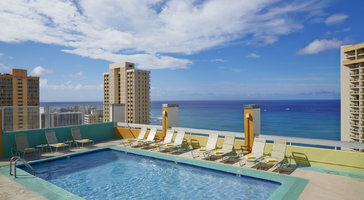 Look through our Oahu hotels – you're sure to find the perfect accommodation to anchor your Hawaiian holiday.